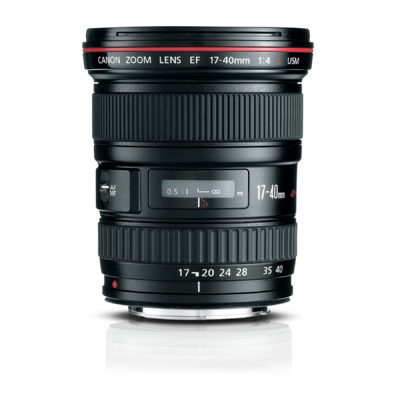 An affordable L-series ultra-wide-angle zoom lens that's ideal for both film and digital SLRs. Superior optics are assured by the use of three aspherical lens elements, in addition to a Super UD (Ultra-low Dispersion) glass element. 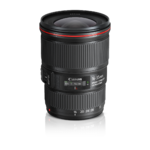 Optical coatings are optimized for use with digital cameras. 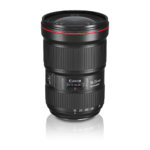 This lens focuses as close as 11 inches (0.28m), and offers both Canon's full-time manual focus and a powerful ring-type USM for fast and silent AF. 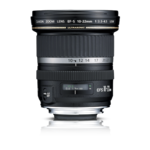 It has a constant f/4 maximum aperture, and offers the choice of screw-in 77mm filters or a holder in the rear of the lens for up to three gel filters. 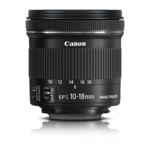 Finally, it offers weather-resistant construction similar to other high-end L-series lenses.